Welcome Ladies and Gents to the first episode of Music Mondays sponsored by SDMS 360. 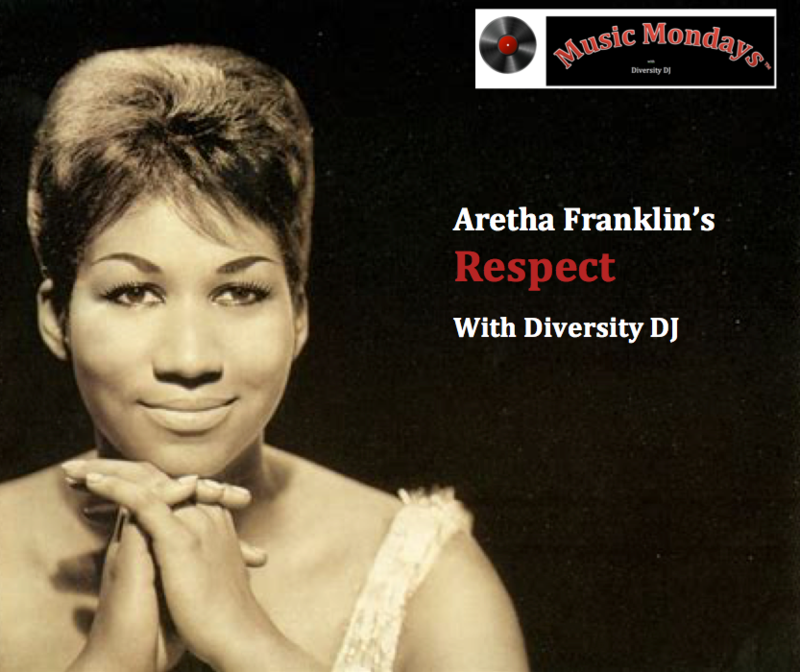 Diversity DJ here, kicking off our virtual turntable party with a song that pays tribute to the late Aretha Franklin. We all know this song and have jammed to it more than once at some time in our life. The context is relational – presumably between a couple. But the relational nuggets found in the song can apply to any relationship, in any context. Before we dig in, remember that our goal is to hear the diversity in the music. With that in mind, let’s explore Respect through the lens of Diversity Management. What Ms. Aretha is saying here: I know you have your understanding of the meaning of “respect,” but I need you to find out what respect means to me. Because right now, we ain’t on the same page and that’s causing some problems. From a Diversity Management perspective, I’d say: You’re approaching “respect” from how you would like people to respect you (Golden Rule). But it’s necessary that you recognize what I need to feel respected (Platinum Rule). Because right now, we’re experiencing some diversity tension and we can’t move forward. First we have to know and appreciate that there are always multiple perspectives and beliefs around the concept of “respect.” The position I might take on “respect”, which I’ll equate with the Golden Rule,” may not always align with your position on “respect”, which I’ll equate to the Platinum Rule. (Note, we’re talking specifically about “respect” in this instance. But you can replace “respect” with any subject and the same principles still apply). But how do we move forward if we’re not seeing eye to eye? Or if there’s no agreement? Let’s look to our song for a possible answer. Ms. Aretha’s solution was to throw down an ultimatum: R-E-S-P-E-C-T. In diversity management, we call that a requirement. Requirements are those things that are essential to get work done. They’re the things that need to be in place in order to move from Point A to Point B. Another way to think about requirements is to ask this question: “What’s the core reason we’re together in the first place?” The answer to this question is your requirement. How do you determine what’s a requirement? You can think of a requirement as a “code of conduct” that guides your life. They are a categorization of what’s good, bad, right or wrong, in our own eyes. Requirements are determined consciously and unconsciously, through years of exposure to influences including your upbringing, education, media exposure – and everything in between. In our minds, these lines are never meant to be crossed. Take a look at this sample of topics and possible requirement considerations. You’ve likely already identified key requirements in many of these areas. If your requirements aren’t being met, I’d guess you’re experiencing some tension that may present itself as stress, anxiety or some other “not so great” emotion. If you’re an omnivore and your vegan friends take you out for wheatgrass, tofu chicken fingers and bean burgers, you’re feeling some tension. What you’re definitely NOT feeling is contentment. Imagine the tension Ms. Aretha must have felt in order for her to issue an ultimatum! If we’re in a situation where we’re experiencing tension to that same degree and issue an ultimatum or requirement, what’s next? If you were living in the world of “Me, Myself & I,” the solution would be pretty simple. Just pack up and go some place else. But in the world of “Me, Myself & I…and you, and him, they and we” – it ain’t so simple. Just as you have requirements, so do “you, and him, they and we.” Whose requirement should be THE requirement that guides us all? To hear the answer to that question, join us for our next episode of Music Monday. Fortunately, because this is our inaugural week, we’ll have a special edition this coming Thursday, so join us then!